Cioccolateria Barbero of Cherasco, specialised in creating cocoa based products since 1881, offers a range of chocolate confections made from cocoa sourced from several countries. Ingredients Cocoa paste, sugar, cocoa butter, hazelnut paste, almonds, honey, liqueurs, milk powder, candied orange, cereals, coffee, flour, invert sugar, vegetable oil, egg, glucose, cream, puffed rice, pistachio. Emulsifier: soya lecithin. Flavourings: vanilla, chi For more information on product labels, please contact our Customer Service department. The information on the labels of the products may vary for reasons beyond our control, therefore, there may be discrepancies between the information on the site and that on the products delivered. Please always check the information on the product before consumption or use. 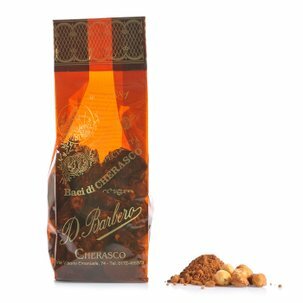 Cioccolateria Barbero of Cherasco, specialised in creating cocoa based products since 1881, offers a range of chocolate confections made from cocoa sourced from several countries. 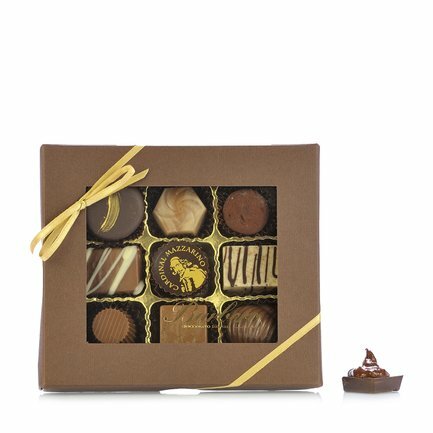 This box of assorted chocolates is a tiny taste of the vast range of pralines available, from the classic truffle cream with hazelnut and nougat to the gianduja and acacia honey snail or the candied orange and Grand Marnier chocolates, not to mention the Cardinale with milk cream and Cointreau.